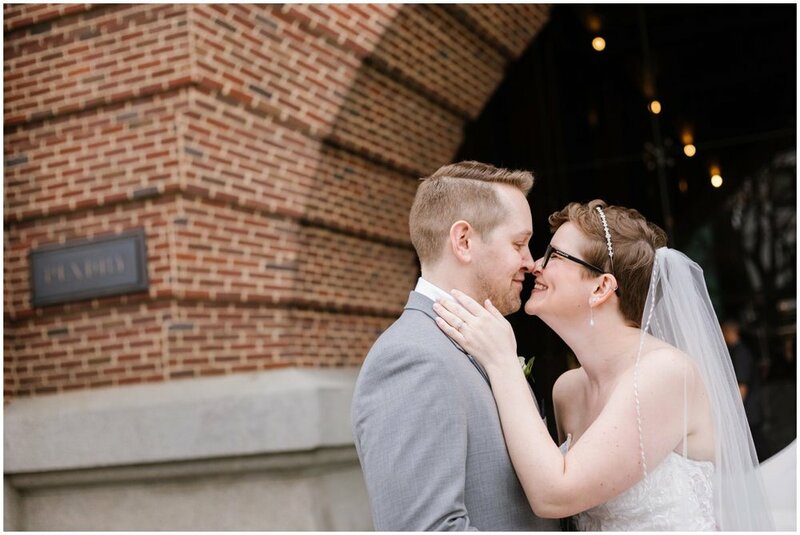 Ashley + Greg’s Sagamore Pendry wedding in the heart of Fells Point will be filed under what wedding dreams are made of and then some... hearing this incredible couple keep saying ‘this is honestly better than we could have ever asked for’ made an already GORGEOUS day into one that I don’t know how we’re going to top!!! It’s hard for me to put into words how wonderful these two are together as a couple but also as individuals that compliment each other and create a perfect balance of modern, playful love, genuine happiness and honest connection. 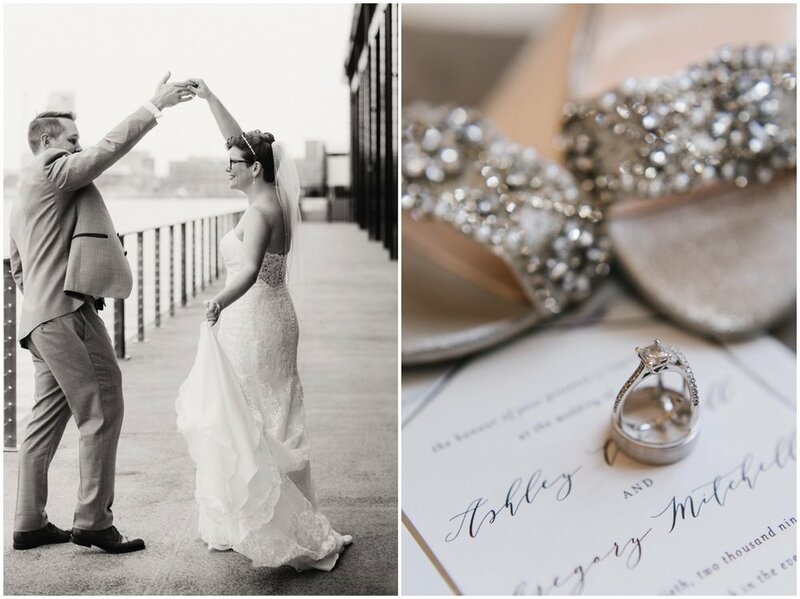 While it was our first time capturing a Pendry wedding (…and ready to go back in a heartbeat! ), we’ve worked with the Lemon & Lime Event Design team numerous times over the years and each and every time, the timeline runs like clockwork, we get to have fun as part of a creative and collaborative team and our couples are relaxed, happy and completely overjoyed. All of that translates to epic photos… especially when it’s 75 degrees outside on the last Saturday in March and the sun, wind + clouds play together perfectly timed for portraits on the pool deck, pier and balcony. The red carpeted grand staircase was literally made for moments like this…! I love both of these photos on their own but also since the sequence shows the value in having the perspective of 2 photographers capturing the same moment. They both tell very different stories of Greg’s first look at Ashley and I personally, can’t pick a favorite. From happy tears streaming down cheeks within a glowing courtyard to vows that included how Ashley will still never fold her laundry (I’m with ya, girl!) to a ceremony processional with cheers of joy surrounded by their best family and friends… truly magical in every sense of the word. Cheers to you both!!! We couldn’t be happier and more honored to have captured the start of your married life together! We’ll just be right here reliving this day over and over until we see you again!